Beautiful and sturdy! Even with the measurements before hand, it looked larger, once out of the box, than I had expected. 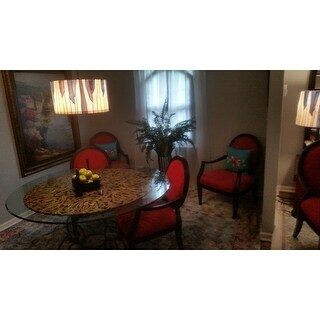 But it’s perfect in the breakfast nook. Love it! It has 3, 60 watt equivalent LED dimmables I put in it. The color variations are beautiful. 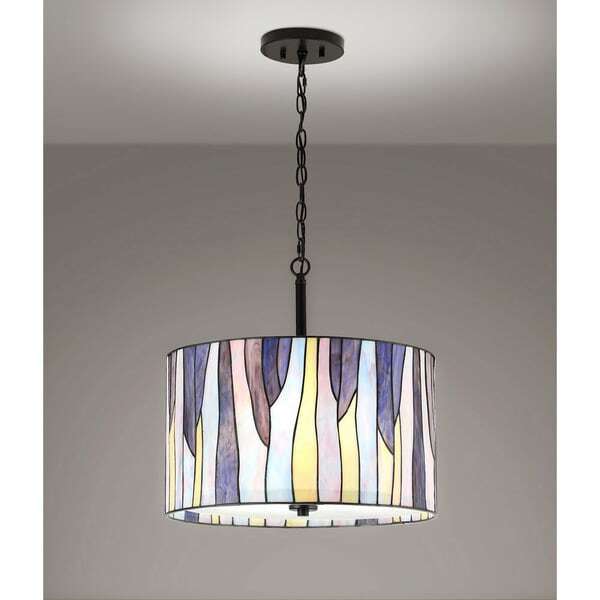 HomeTREND design, the BAROSSA tiffany lamps are beautifully handmade with design pattern of multi color tiffany glass, this contemporary design will be cherished with perfect additions to your traditional as well modern home with extra touch of colors. STUNNING! The picture does not do it justice. I can't stop looking at it in my dining room. Arrived quickly, packaged securely. Very happy with my purchase. Colors true,reflecting light thru top with defuser to soften light on glass topped table.Will add a dimmer to it later. I was a little hesitant to order this, but am so glad I did ! It arrived arrived promptly ! Colors as shown , beautiful ! 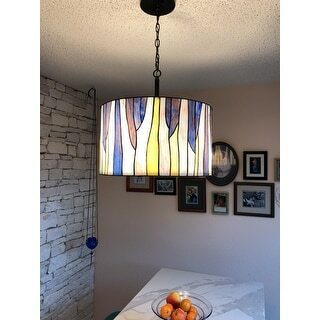 Looks amazing in our foyer .Per my husband , easy to install ... great find. 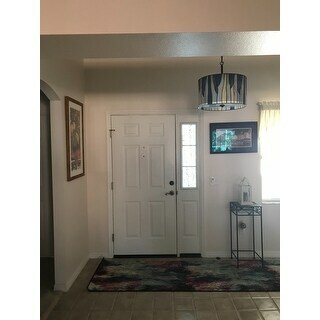 This light is exactly what I was looking for. Get many compliments. Perfect fit in my condo, colors are bold and beautiful. Beautiful color. Looks great over my dining table. More beautiful than the website photo. Colors were true to the photo. Very high quality item. "What is the height of the shade?" "How long is the rod without the chain?" "How heavy is it? Can it be swagged?" This weighs about 14 lbs. This can be swagged with an additional swag hook. The table lamp base is about 7-1/8 inches. "How long is the rod?"